ABB industrial customers will soon be able to receive alerts for predictive maintenance of their facility’s electrical distribution system. ABB is adding new connectivity functions to its ABB Ability Electrical Distribution Control System that make power assets more reliable and simpler to manage. ABB’s Electrical Distribution Control System is a unique cloud-based tool for electrical power systems that increases operational efficiency and productivity by up to 30 percent, maximizing uptime for key processes. Additionally, using plug-and-play modules that provide sensing and a direct connection to the cloud, ABB’s unique solution is fully scalable, enabling customers with multi-site operations to manage and supervise remote locations from anywhere. 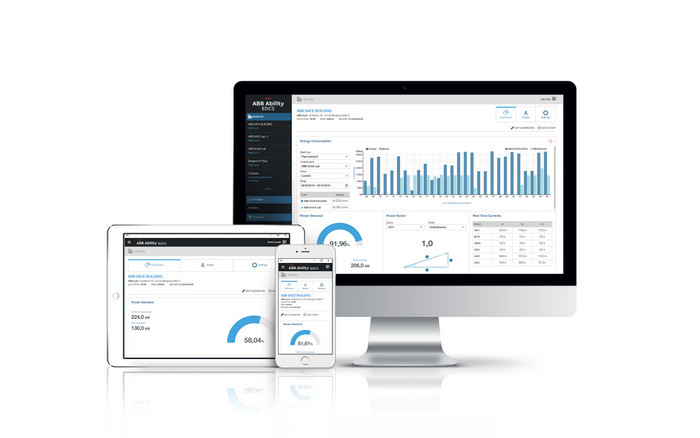 Users can allocate energy consumption and costs to specific assets and the ABB Ability Electrical Distribution Control System helps them optimize power use by receiving data-driven insights and alerts via smartphone, tablet or PC that are easy to act on. ABB servicing experts helped develop the new algorithms that will make maintenance smarter, quicker, and less expensive. This new function will optimize service intervals, replacing routine maintenance with intelligent servicing that matches real-world requirements based on the circuit breaker’s real utilization. Factors include the number of mechanical operations; nominal current, overloads and short circuits; and environmental conditions such as humidity, temperature, vibration and corrosion. For mission-critical processes, the cloud-based solution will significantly reduce the risk of unplanned shutdowns. Installations in harsh operating environments will have the clarity needed for effective asset management. Air circuit breakers are among the most important safety devices in any large building or industrial facility. When a fault occurs, devices such as the Emax 2 air circuit breaker protect people, plants and processes. Servicing is essential – and by giving customers the right information at the right time, this new ABB solution will make facilities better equipped and more productive.